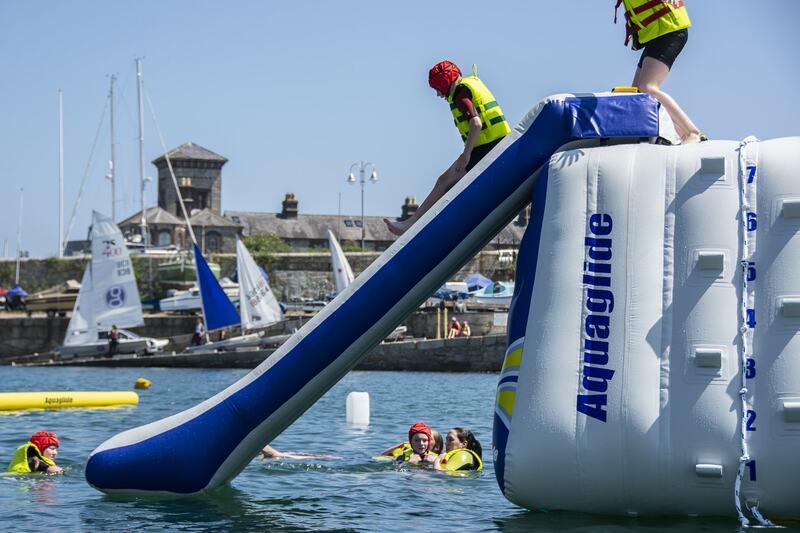 On Bank Holiday Sunday 5th August, 400 swimmers will part in this year’s 88th Dún Laoghaire Harbour Race. 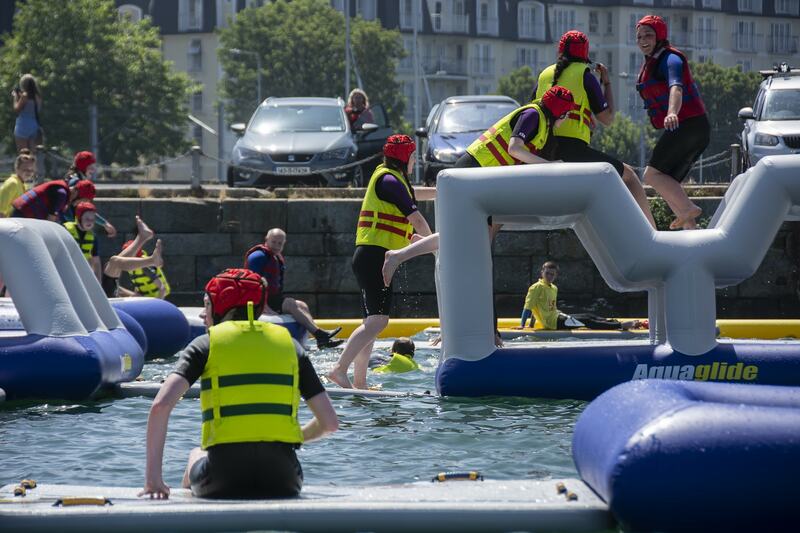 This annual event is a celebration of open water swimming and a spectacular occasion for swimmers, spectators, tourists and the citizens of Dublin and Dún Laoghaire. 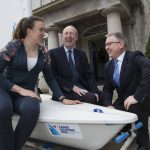 Leinster Open Sea run calendar of over 40 open water races along the coast of Leinster from June to September each year. 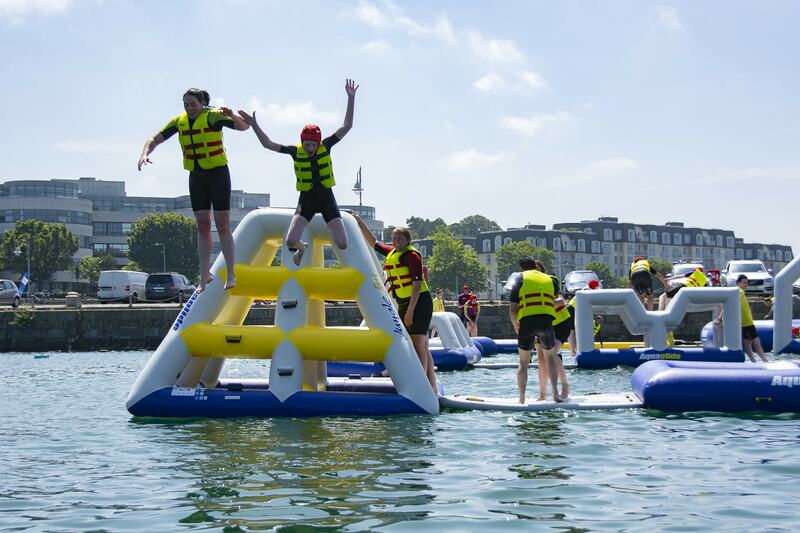 The Dún Laoghaire Harbour Race is one of the most high-profile swimming events in Ireland and a “blue ribbon” event on the Leinster Open Sea calendar. Steeped in history, the Dún Laoghaire Harbour has run every year since 1931, making it the second oldest continuous race in Ireland. 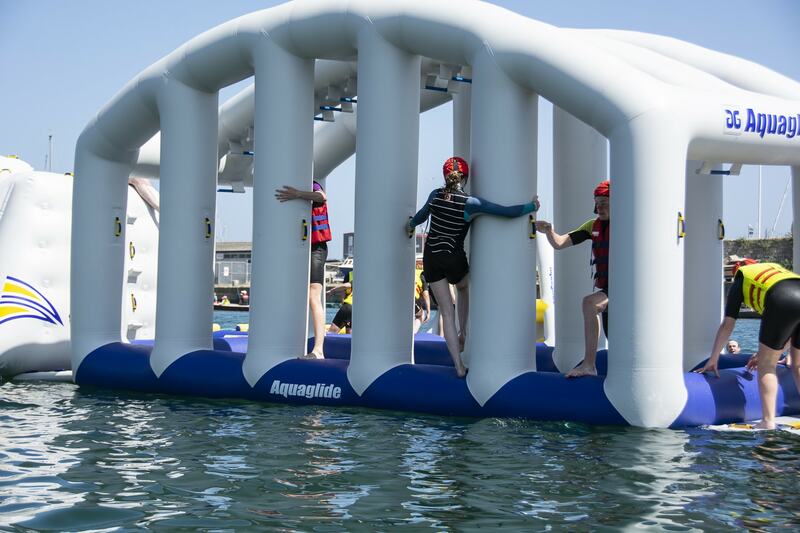 This is but one of many features that attracts participants from across Ireland and overseas each year, and this year’s race will host swimmers from the USA, Mexico, Spain, Holland, France, Australia and Dubai. 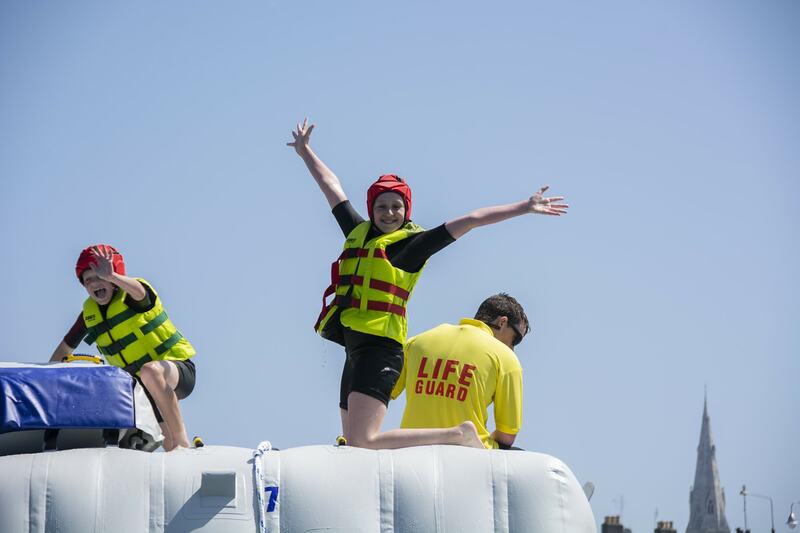 Leinster Open Sea races emphasise participation, and welcome swimmers from all ages, abilities and backgrounds. 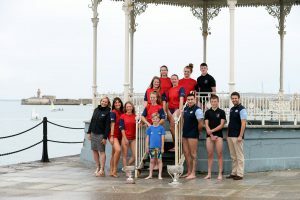 Swimmers from 14 years of age up to senior citizens take part in the Dún Laoghaire Harbour Race every year, with competitive swimmers, water polo players, Channel champions and Olympians competing against each other. Two children’s races of 100m and 200m for children aged 13 and younger will also take place just before the Men’s race. As races are handicapped, every swimmer has a fair chance – you do not have to be a former Olympian to win. 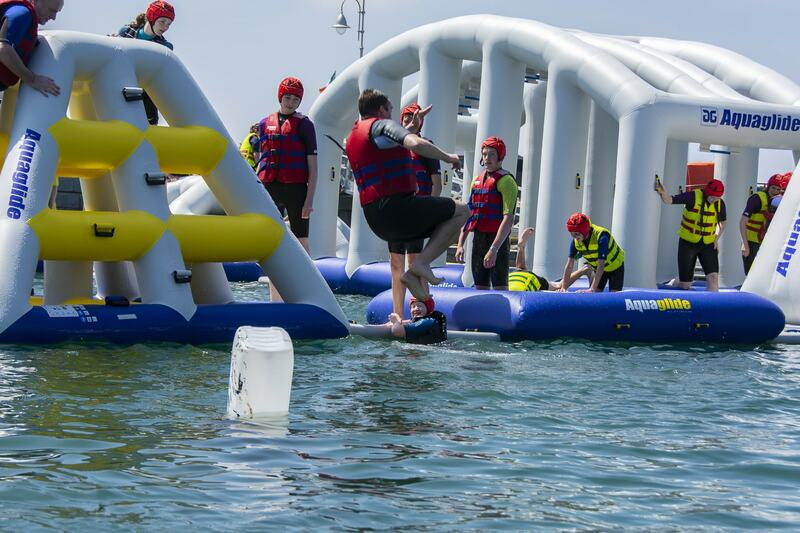 Conor Kearney, of sponsors CJK Engineering, said “CJK Engineering have been involved with Leinster Open Sea for a number of years, and are delighted to be now associated with one of the two Major Races on the Irish open water swimming calendar. It is great to see a sport that caters for such a wide variety of competitors both in age and ability. I wish this year’s swimmers and spectators the very best of luck, especially those who have travelled from overseas, and I hope they all enjoy being “OUT FOR THE DAY”. 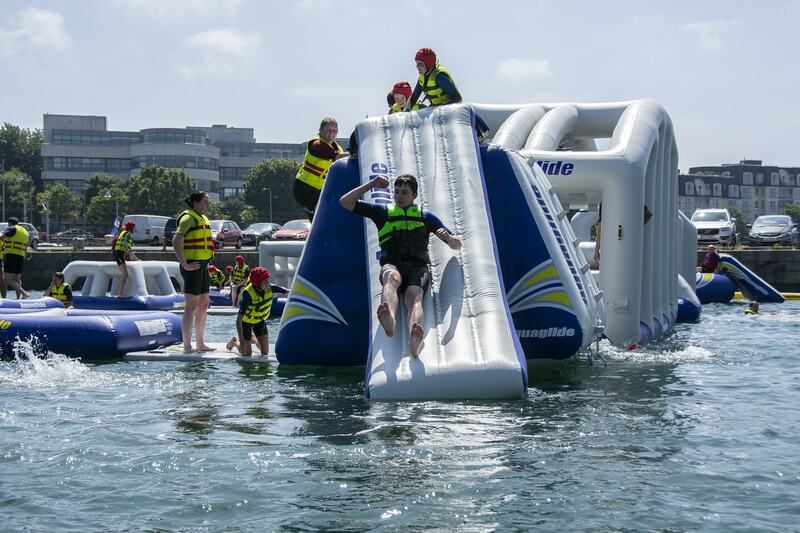 Olympic Council of Ireland President and Swim Ireland CEO Sarah Keane, a regular participant in Leinster Open Sea races, said “Swim Ireland is delighted to be involved in this year’s Leinster Open Sea 88th Dún Laoghaire Harbour Race again this year. The event is still evolving with a children’s race and bigger entries for both men and women yet again this year. With the Summer that we have had so far, we really recognise the value of being an island nation. 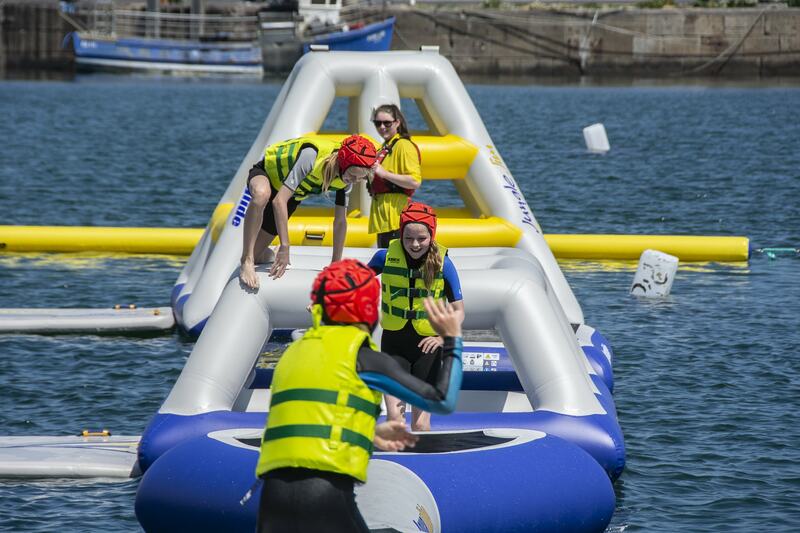 We look forward to this weekend, to supporting our performance athletes in Glasgow and open water swimmers in Dun Laoghaire”. 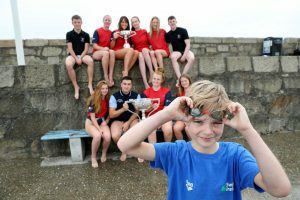 Swimmers in the Men’s and Ladies’ race compete for the coveted Dún Laoghaire Harbour Cups, proudly displayed in the National Maritime Museum in Dún Laoghaire. 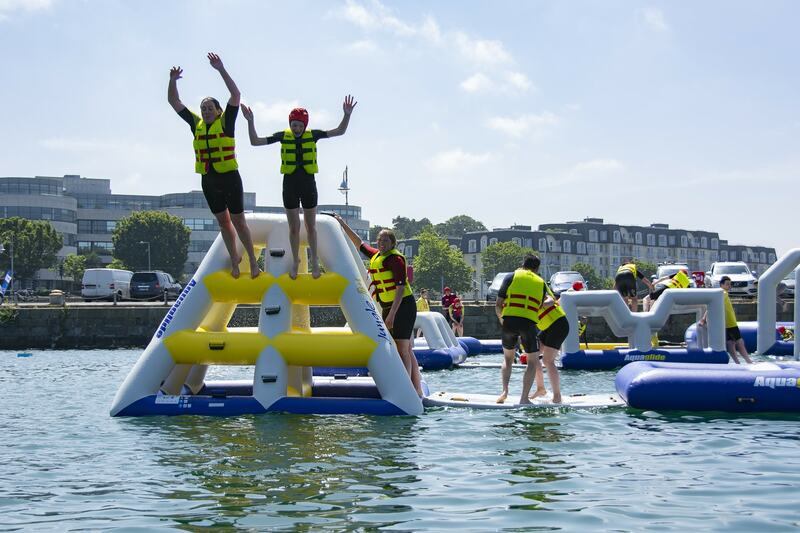 As Brian Nolan, Leinster Open Sea Chair and proud former winner of the Dún Laoghaire Harbour Cup puts it, “to open water swimmers, winning the Harbour Race is like winning the All-Ireland Final”. 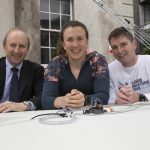 Some of Ireland’s greatest swimmers and former Irish Olympians have competed in the Dún Laoghaire Harbour Race, including Donnacha O’Dea, Kevin Williamson, David Cummins, Gerry Dunne and Brenda McGrory. Then, Swimmers race in a straight line across the Harbour directly into the finish on the Royal St. George Yacht Club slipway. Presentation of winners’ cups will take place in the Royal St. George Yacht Club following the race, with refreshments and entertainment on site for the whole family from 7pm till late. 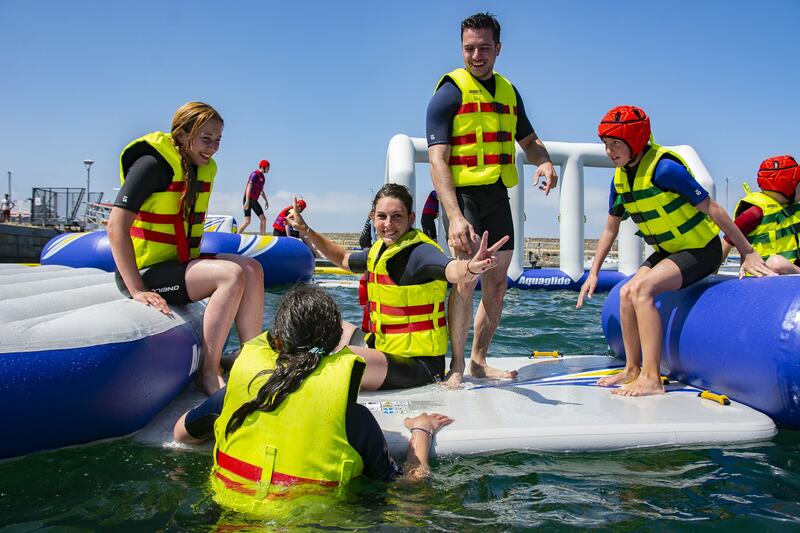 For further information on Leinster Open Sea and open water swimming in Leinster, please visit www.leinsteropensea.ie. Up to date race information can also be found on Facebook: www.facebook.com/leinsteropensea. A pre-race press launch will take place at 10.30am on Monday 30th July in this years’ race venue, the Royal St. George Yacht Club. 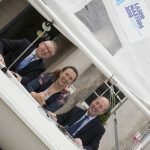 Jason Clarke Photography will be syndicating photographs of the Press Launch and the Dún Laoghaire Harbour Race to media outlets after the race info@jcp.ie, www.jcp.ie (01 660 7938). There will be a limited number of places for photographers on the press boats. For more information on this and to book a place, please email your name and number to leinsteropenseaevents@gmail.com. At least 300 swimmers from Ireland, US, UK, Mexico, Spain, Holland and Australia. 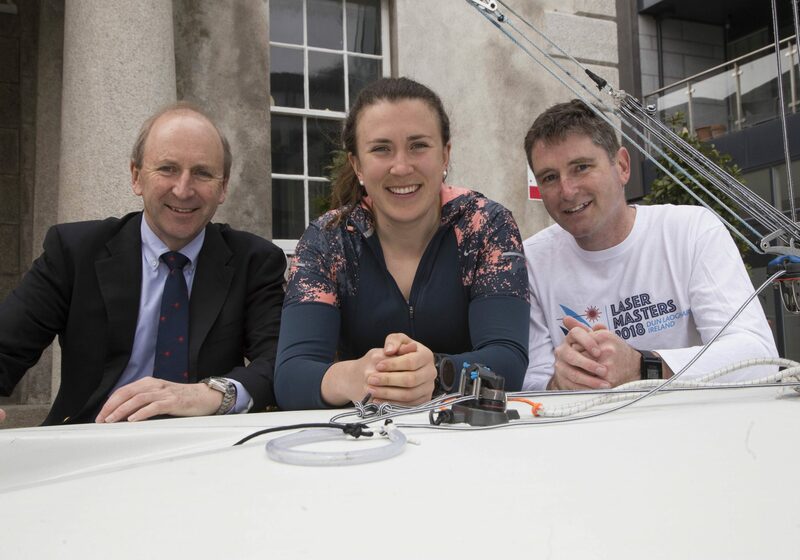 Leinster Open Sea are a not for profit voluntary body who run a series of open water swimming races from June to September each year along the Leinster coastline. In conjunction with the swimming clubs of Leinster, Swim Ireland and major sponsors Jones Engineering and CJK Engineering. 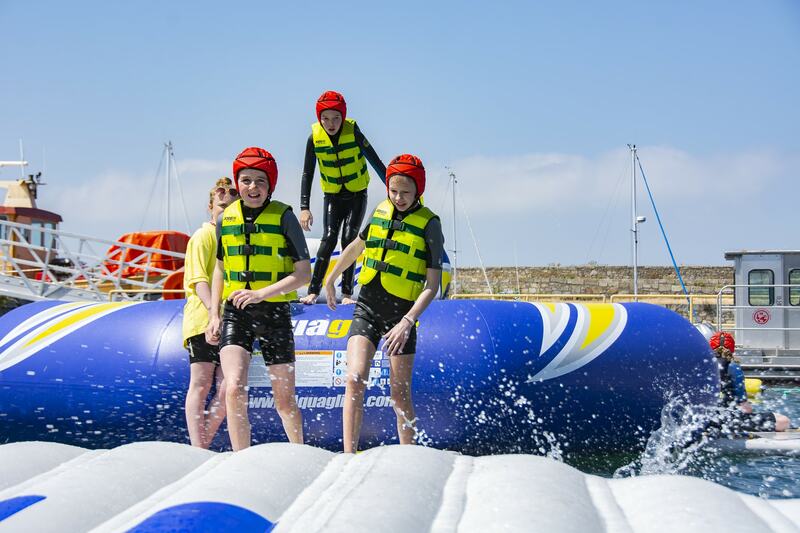 The Leinster Open Sea website contains details of how aspiring swimmers can sign up for next year’s 2019 Season (www.leinsteropensea.ie). New swimmers are always welcome. Most races are approximately 1,600 metres, however, as with other maritime sports it is not the length of the race but the strength and direction of the tide and sea conditions, which determine the ease or difficulty of a swim. 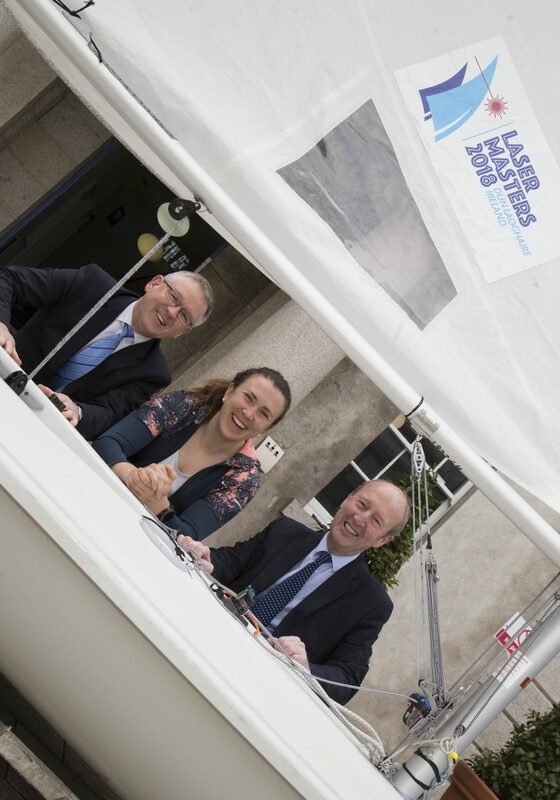 Leinster Open Sea has received over 300 entries for the 88th Dún Laoghaire Harbour Race this year. There will be competitors of all ages, abilities and nationalities with teenagers pitting their strengths against 70 year olds and swimmers from all over the country competing against each other. 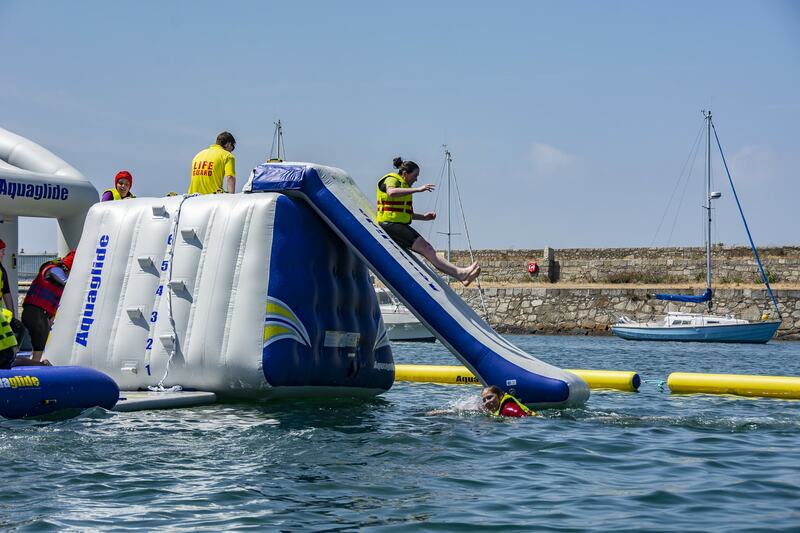 The 88th Dún Laoghaire Harbour Race, as with all Leinster Open Sea races, is a handicapped race with separate races (with the same course) for ladies and men. Based on a swimmers’ performance in the six qualifying races from the Leinster Open Sea calendar, the Handicapping team calculate each swimmers handicap. This will determine when a swimmer will start the race. Slower swimmers will start swimming at “GO” with handicaps increasing in 15 second intervals. The fastest swimmers will often start 10-15 minutes after “GO”. The winner is the first swimmer to pass the finish line. Handicaps gives each swimmer an equal opportunity to win the race and allows a 70 year old swimmer to compete against a young athlete who is competing for Ireland at an international level. “You’d be filled with wonder, The Story of Dun Laoghaire Harbour! The book will ignite the imagination of school children along with curious adults and tourists alike. Available for €9.00 in local bookstores and online . 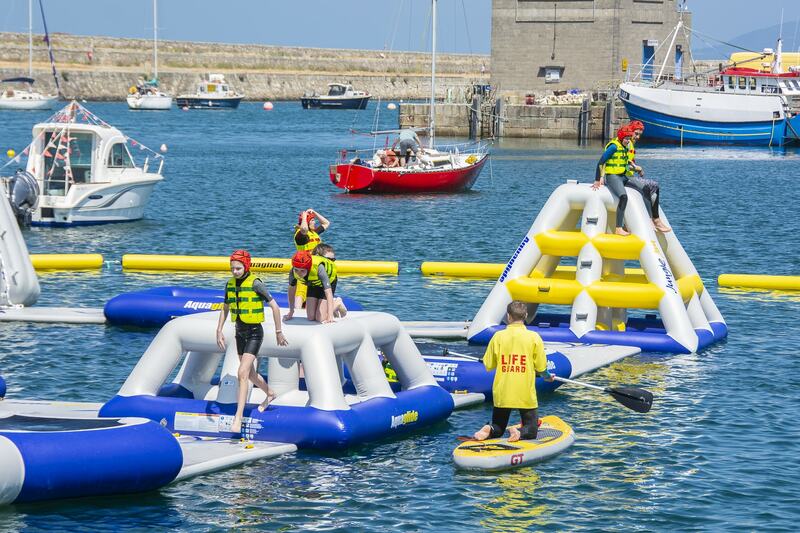 Dun Laoghaire Harbour Company is the custodian of Dun Laoghaire Harbour and its team are responsible for the Dun Laoghaire Harbour Bicentenary Steering Group. The Steering Group contains – The Patron, Minister Mary Mitchell O Connor T.D., The Combined Yacht Clubs represented by Rob Goodbody, Margaret Dunne at Dalkey Castle Heritage Centre, The National Maritime Museum, Don Mc Manus at Dun Laoghaire Business Improvement District, Dun Laoghaire Rathdown County Council, RNLI Dun Laoghaire, The Coal Harbour Users Group, The Pavillion Theatre, TD Sean Barrett, Peter Pearson, Capt. Simon Coate, Chairperson of DLHC Eithne Scott Lennon and DLHC CEO Gerry Dunne. Blackrock Education Centre – Blackrock Education Centre provides educational services for schools, teachers, parents, educators and members of our community. This includes professional and personal development opportunities and support for teachers and the wider school community. 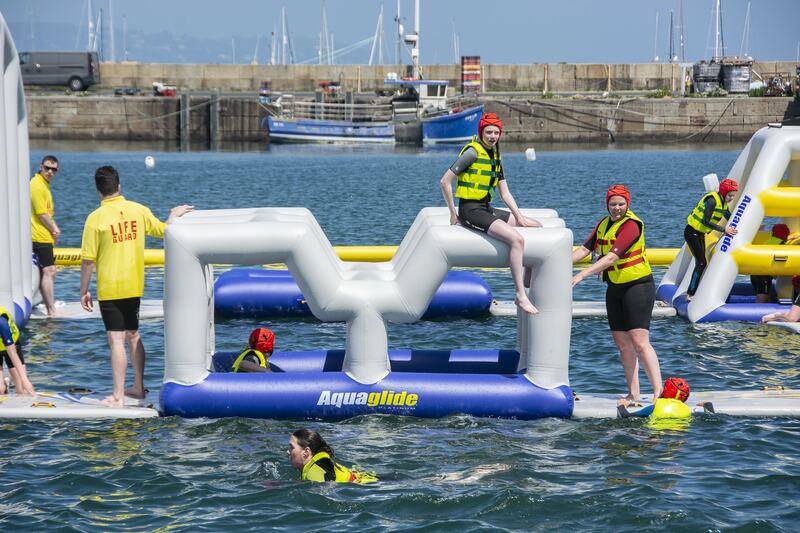 While the sun shone and after months of fundraising by the young, environmentally aware, Flossie Donnelly (11), Ireland’s first Seabin was submerged into Irish waters within Dún Laoghaire Harbour at midday today. Single use plastics are a real challenge in our modern society. These plastics account for nearly 8 million tons of waste that enters our oceans and rivers every year. While nearly 20 million tons of general waste pollutes our waters globally each year, single use plastics account for approximately 50% of all litter. If this sea-scurge goes unchallenged, it is estimated that by 2050 there could be more plastic in our ocean than fish! This is why these Seabins are so important so that they can compliment the work of thousands of volunteers across Ireland who capture and remove waste from our waters. As an island nation, we must do all that we can to combat the ever increasing amount of rubbish and plastics polluting our waters. 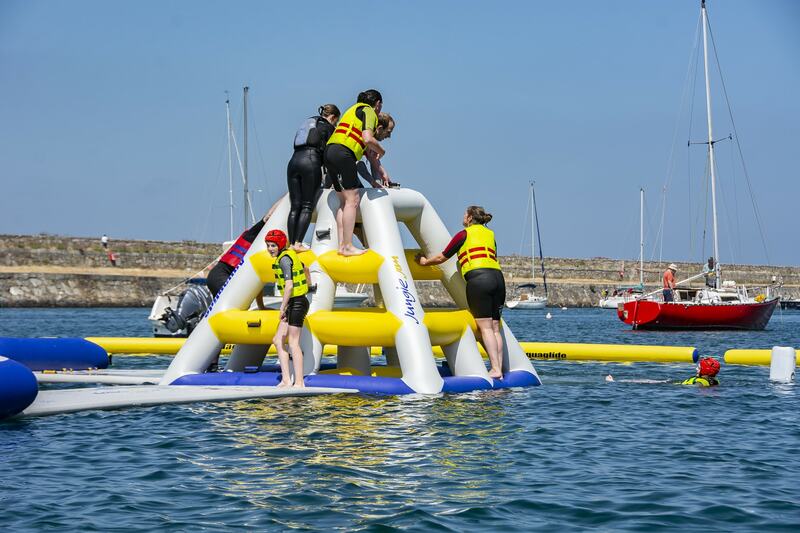 Today’s Seabin launch has been made possible with the collaboration and support of the Dún Laoghaire Harbour Company, the Dún Laoghaire Marina and Inland and Coastal Marina Systems and all brought together by Flossie herself. Speaking at the launch, Flossie said “I’m so excited that these seabins are finally being installed and I cannot wait for them to be installed. I am so happy that all my fundraising has finally paid off with the help of my friends, family and everyone who donated…this is finally going to be made possible!! I really feel when the seabins are in it will make a big difference with the pollution in the sea locally and I love the way that the seabins will not harm any of the fish in their natural habitat and hopefully soon enough in their plastic free habitat! I’m very excited for ‘a plastic free Irish Sea’. 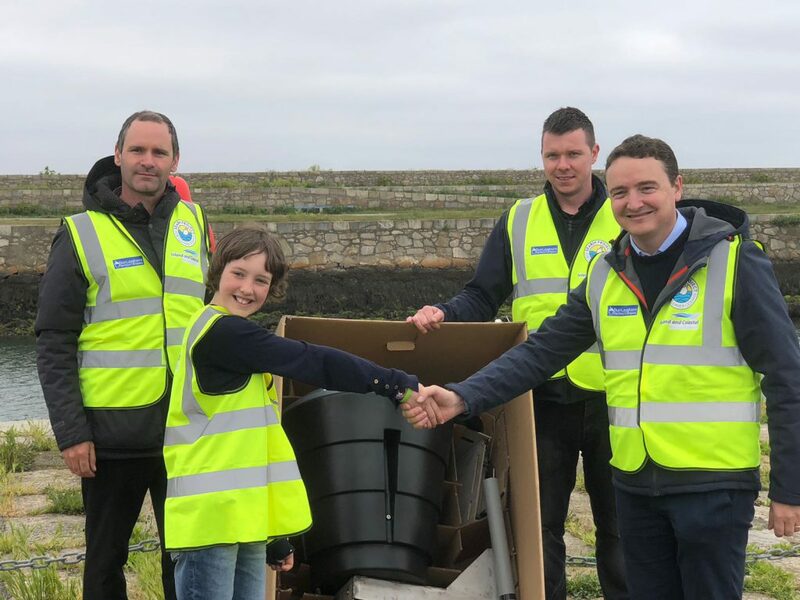 The operations manager of Dún Laoghaire Harbour Company, Tim Ryan said “the Dún Laoghaire Harbour Company are delighted to be involved in this exciting project, made possible by an inspirational 11 year old girl, Flossie. When Flossie first approached us, she already knew what she wanted, to install Ireland’s first Seabin and was well underway with her fundraising efforts. Her resolve inspired us to whatever we could to help her out. 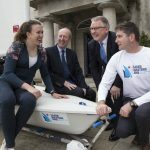 Flossie’s not finished yet, she will be the grand marshal in Ireland’s first “March for the Ocean” which is being organised by Dún Laoghaire-Rathdown County Council and it takes place on Saturday 9th June at 2:30pm from the Royal Marine Hotel in Dún Laoghaire. All individuals, community and enviromental groups across Ireland are invited to join us and you can register your interest on Facebook; https://www.facebook.com/events/647049418963548/ This is part of a global initiative to combat single use plastics. (Wednesday 17th May 2017) As the arrival of swallows heralds the start of Irish summers, the arrival of the first cruise ship into Dun Laoghaire kicks off the towns summer in luxurious style. 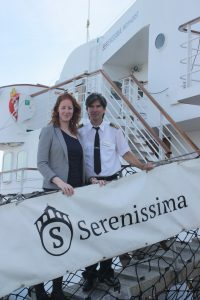 Five star luxury cruise ship Serenissima, which weighs in at over 2,500 tonnes, is the length of a soccer pitch, has 59 cabins and a passenger and crew complement of 160 people, will call today, Wednesday 17th May ,allowing its passengers and crew take in the sights of Dun Laoghaire and surrounds. 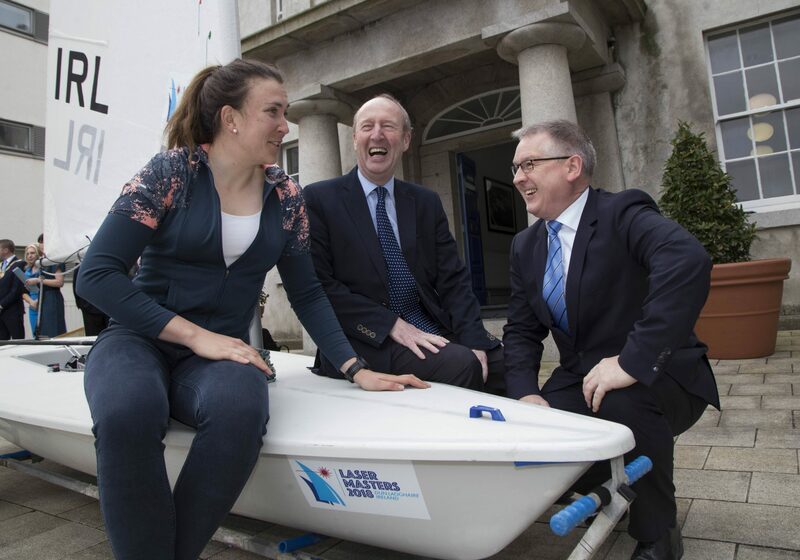 Tuesday 18th April 2017, Dún Laoghaire, Ireland: The Laser Masters Worlds (2018World Championships) was launched at a special event in Dún Laoghaire Harbour Company’s historic Harbour Lodge today by Shane Ross, T.D., Minister for Transport, Tourism and Sport. 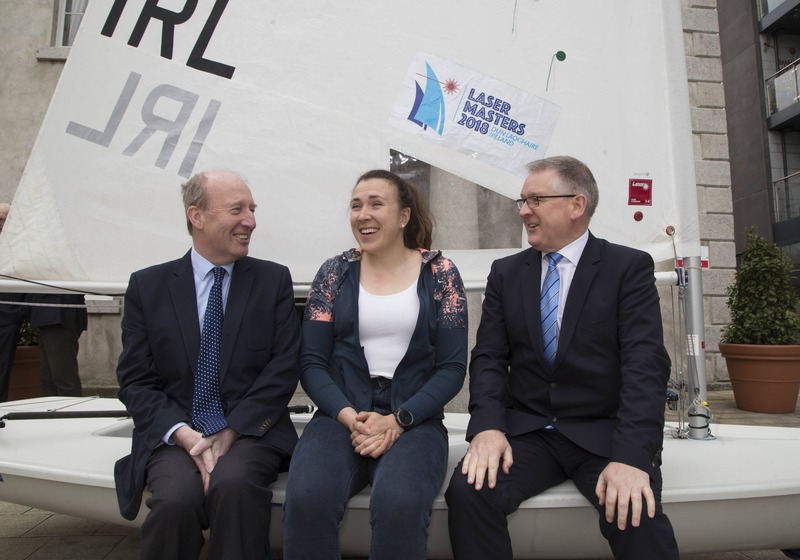 This is the second time in three years that Ireland has been chosen to host a Laser Worlds event. 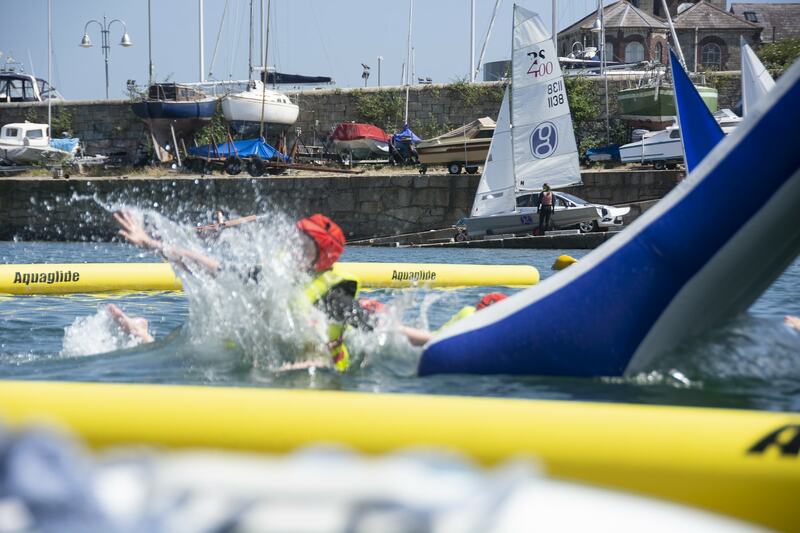 The Laser Radial Worlds were held in Dun Laoghaire last summer. 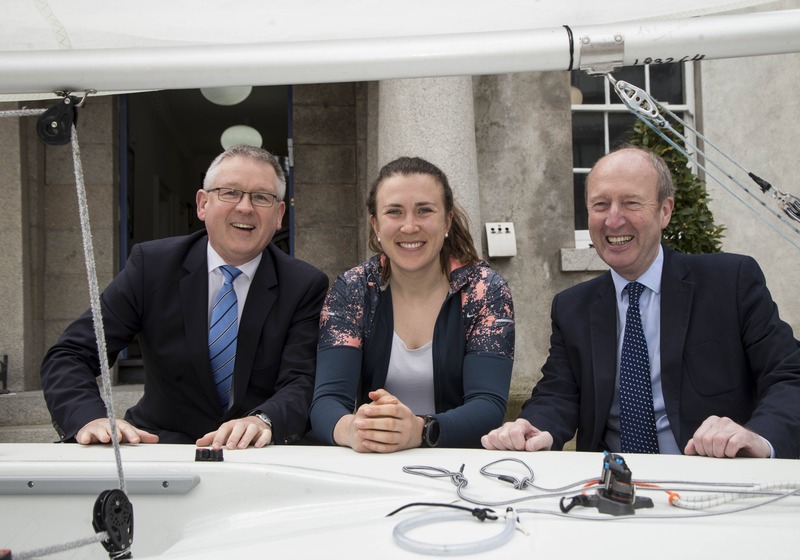 Annalise Murphy, 2017 Olympic Silver Medallist in the Laser class at the Rio Games, will act as event ambassador. 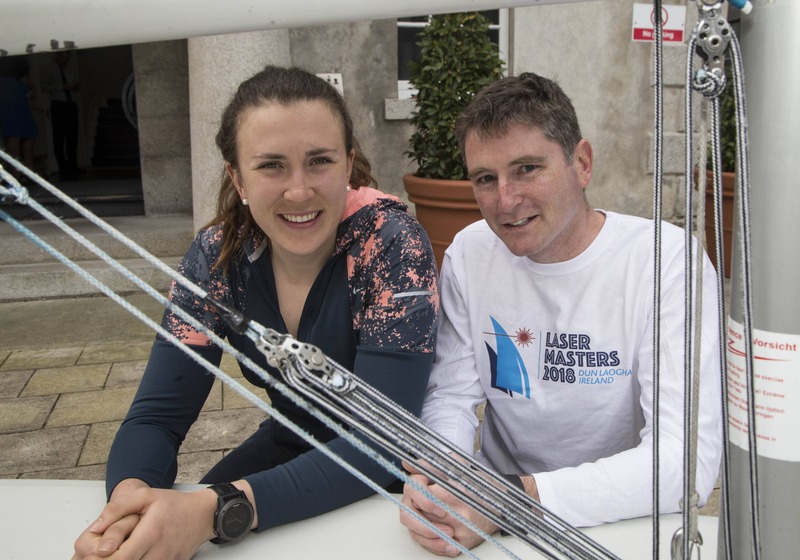 The Laser Masters 2018 Worlds takes place in Dún Laoghaire harbour from 7th to 15th September 2018 and will be hosted by The Royal St. George Yacht Club, the National Yacht Club, the Royal Irish Yacht Club and Dún Laoghaire Harbour Company. 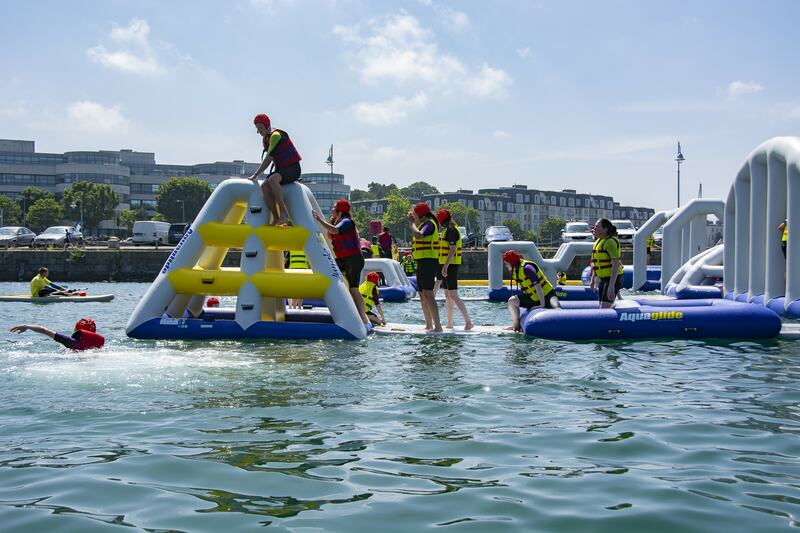 The event is supported by Dun Laoghaire Rathdown County Council and Fáilte Ireland. 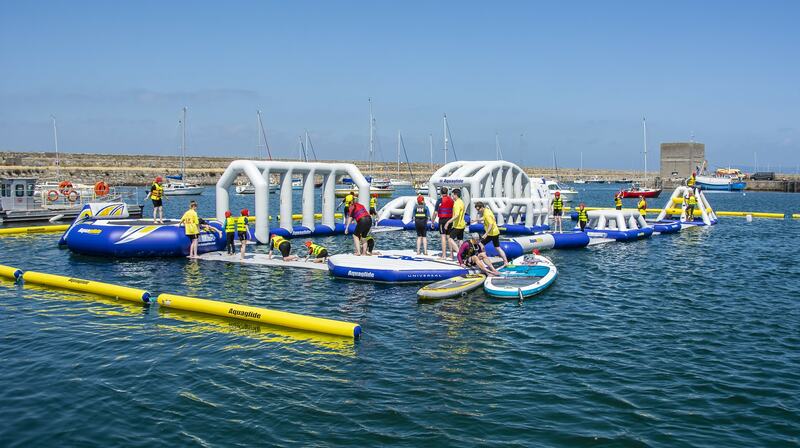 1,000 supporters and volunteers will be involved in helping to host the Laser Masters 2018 Worlds.Over the past number of years Dún Laoghaire has played host to some of the most prestigious European and world sailing championships including the Youth Sailing World Championships in 2012 and the KBC Laser Radial Worlds in 2016. The Laser is a single-handed racing dinghy. 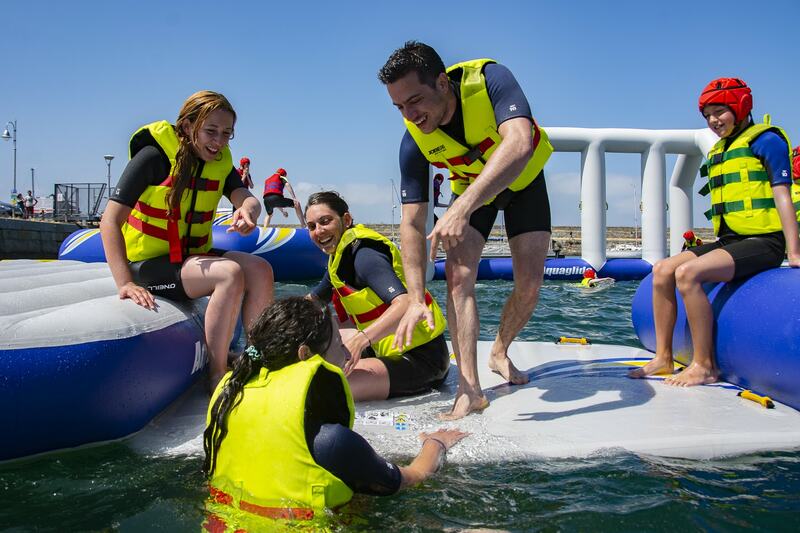 It is an Olympic class boat for both men and women and is sailed at national and international levels. With over 200,000 boats in 140 countries, it is the world’s most popular adult and youth racing sailboat. It is popular throughout Ireland. 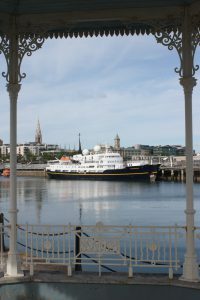 Cruise berth facility on track as An Board Pleanála seek further information from Dun Laoghaire Harbour Company. 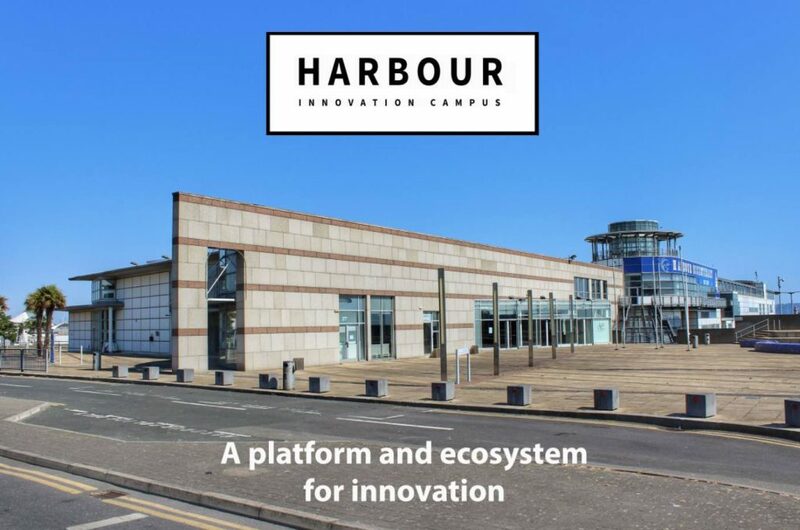 Dún Laoghaire Harbour Company (DLHC) has been informed that An Bord Pleanála will not be defending a Judicial Review of the decision of the Bord to grant planning permission to DLHC for the development of a cruise berth facility in the harbour. The Judicial Review had been taken on behalf of Save our Seafront, who had opposed the development. An Bord Pleanála has now determined that certain technical requirements of the Habitats Directive necessitate additional information to be supplied by DLHC. It is recommending that the planning application is sent back to the Bord for this additional information to be assessed. DLHC will co-operate fully with such a request by An Bord Pleanála. An Cathaoirleach of Dún Laoghaire-Rathdown County Council, Councillor Cormac Devlin, cordially invites you to a ceremony marking the conferral of an Honourary Freedom of Entry to the County for the Irish Naval Service. 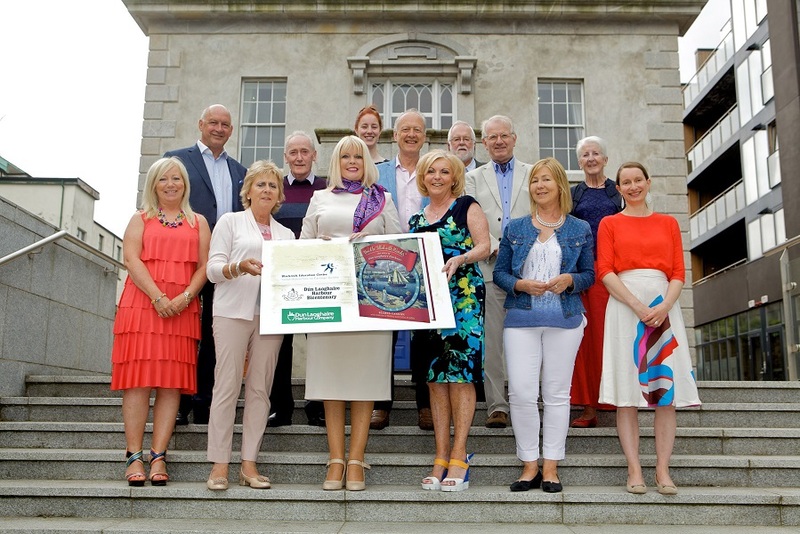 This Award is in recognition of its humanitarian service on behalf of the people of Ireland and the European Union and to acknowledge the duties undertaken by the Irish Naval Service as part of Operation Pontus. The Award will be accepted by the crew of the LÉ Eithne on behalf of the Irish Naval Service. The LÉ Eithne crew will accept the honour at a formal ceremony in Dún Laoghaire Harbour Plaza on Friday 31st March at 1pm. There will be live music and a short parade by the Army Band and the crew of the LÉ Eithne. The event will be mc’d by Mary Kennedy from RTÉ. 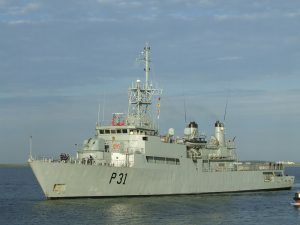 Following the event the Naval Services will also be offering the public guided tours of the LÉ Eithne on Friday afternoon and evening. An Cathaoirleach would be delighted if you were able to come to the Plaza on Friday 31st March to witness this very special event in the year of the Harbour Bicentennial.